The largest entertainment complex on the sea makes an appearance on our list at lucky number 13. The SeaPlex is a multipurpose entertainment centre designed to keep all ages entertained. The versatile centre offers a wide range of different activities from basketball to dodgems and everything in between. 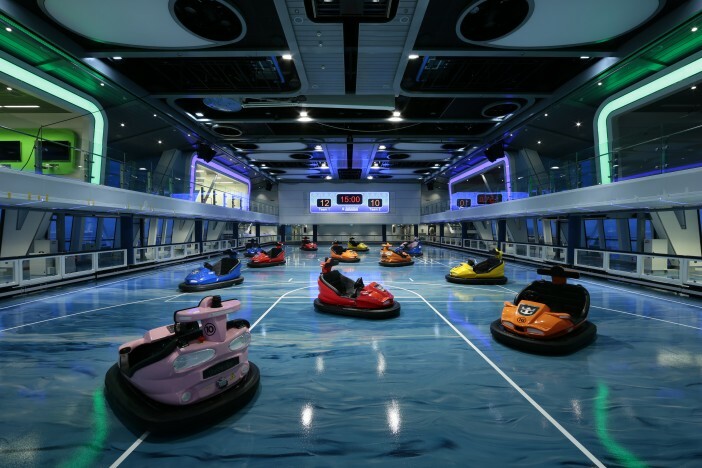 A new feature for the Quantum Class of ships, the SeaPlex takes advantage of the Anthem’s advanced technologies – allowing the complex to effortlessly change to support the needs of a new event. 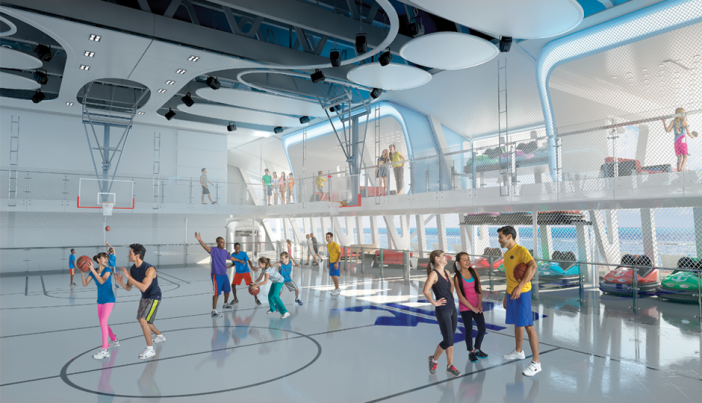 The main purpose of the SeaPlex is to allow all guests to maximise enjoyment on the seas – giving them the chance to enjoy basketball, bumper cars and roller skating as part of a roller disco. The two level complex’s upper level is dedicated to less vigorous activities, peppered with Xboxes, video arcades and ping pong parlours. The SeaPlex Dog House provides the perfect ‘grab-n-go’ snack for kids (young and old), stocking a huge range of hot dogs from traditional German Bratwursts to chicken and apple sausages. Perfect for families with younger children, the SeaPlex incorporates plenty of space for parents to oversee their children, ensuring they’re playing nicely. As well a spot for playing and having fun, the SeaPlex is also a fantastic place for the whole family to go and learn new skills. The unique circus school held in the SeaPlex teaches a series of high-flying trapeze tricks and stunts to would-be performers and clowns. The roller discos also give budding DJs the chance to take the reins and control the music being pumped out. The soft entry in the world of DJing can help music lovers improve their appreciation of track timing and beat matching. The largest entertainment complex on the sea makes an appearance on our list at lucky number 13.